These Holley EFI LS Hi-Ram intake manifolds are designed for your high performance race engine. Big cube and high-rev applications without height limitations are the intent for these manifolds. The modular design of these Holley Hi-Ram intake manifolds offers a runner length and as-cast tapered cross-section design that works for a wide range of engine configurations. The included fuel rails are machined for -8 AN O-ring fittings with passages large enough to accommodate high fuel flows and dampen pressure pulsations in the fuel system. 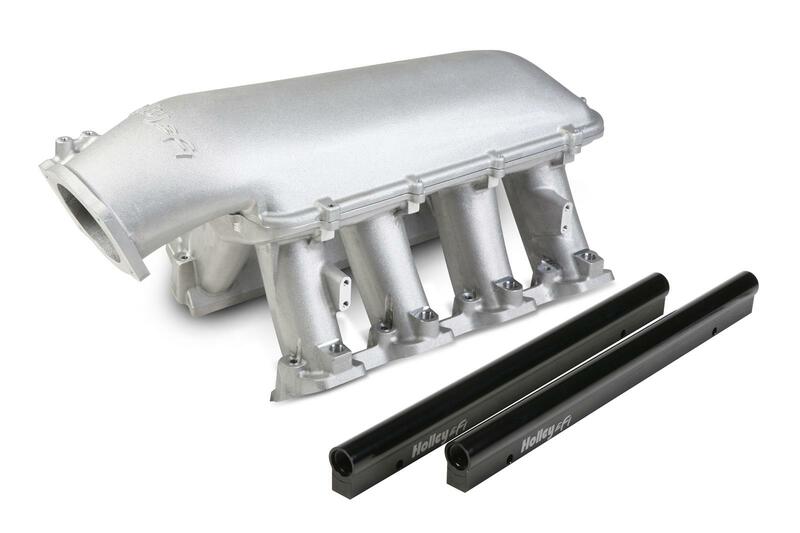 Build maximum performance with EFI LS Hi-Ram intake manifold bases from Holley. Notes:With cathedral port heads only. Fuel rails are machined for -8 AN O-ring male fittings.